PEEK is a thermoplastic material, a polymer, that becomes pliable or moldable above a specific temperature and solidifies upon cooling. 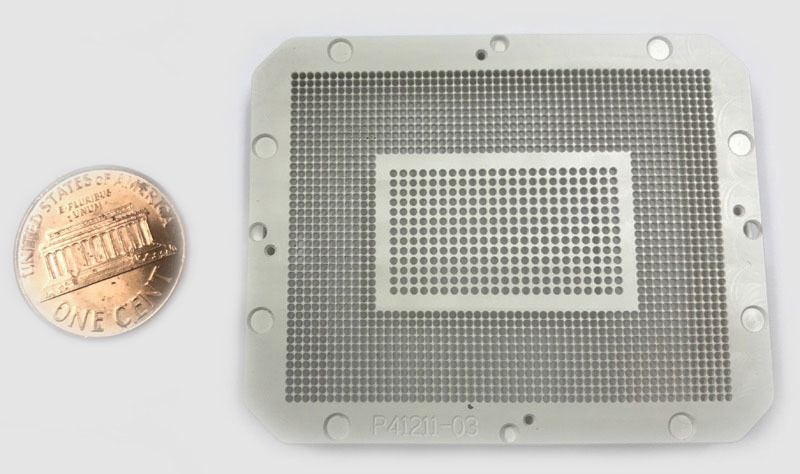 This plastic provides a competitive advantage in key microprocessor test socket applications due to its significantly lower moisture absorption and tight tolerance machining. Test sockets are used in the final stage of the semiconductor manufacturing process where the microprocessor chips are plugged into a circuit board for various system function tests. PEEK (PolyEtherEtherKetone) has relatively low out-gassing values (0.31% TML, 0.00% CVCM, 0.06% WVR). 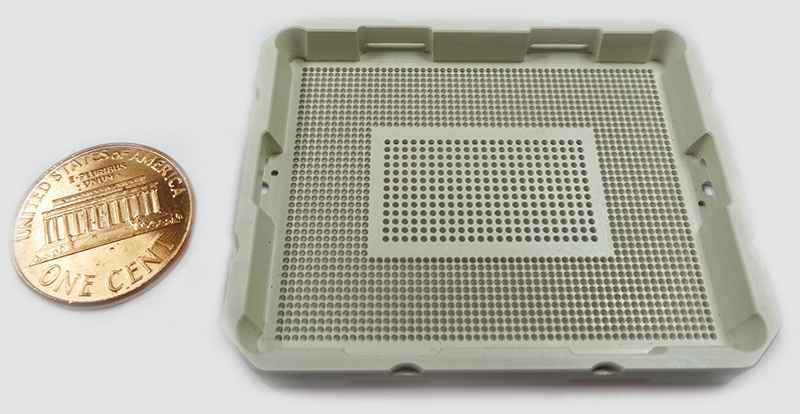 PEEK with ceramic fillers can significantly improve its mechanical properties. Some characteristics are: excellent dimensional stability, good impact strength, stiffness an minimum levels of creep, better impact resistance and toughness compared with ceramics as well as excellent machinability for tighter pitch and fine diameter holes. The material offers greater hydrolytic stability and lower weight than other materials traditionally used for this application. More information on machining of plastics.